These shoes will fulfill your deepest desires... When it comes to shoes, at least. 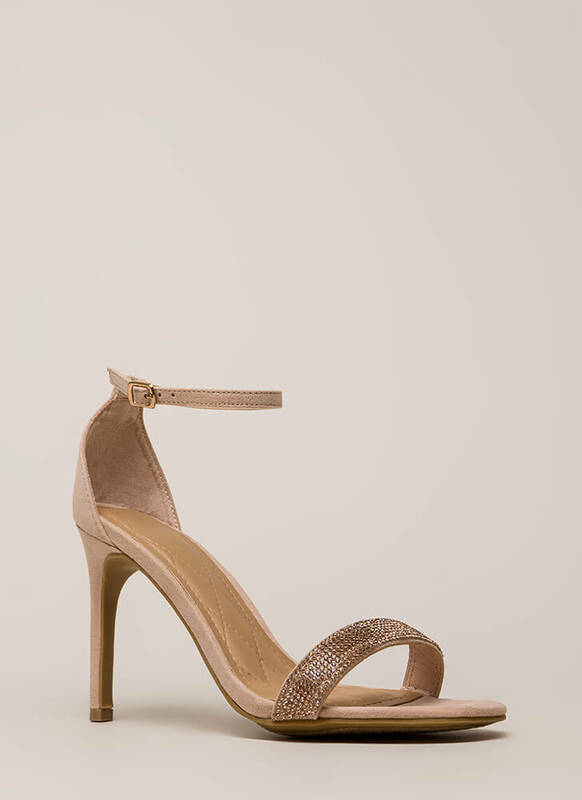 Open-toe vegan suede heels feature a super skinny ankle strap with an adjustable buckle, a padded footbed with diamond-shaped stitching for a quilted look, and a sparkly toe strap covered in tiny faux gem rhinestones. 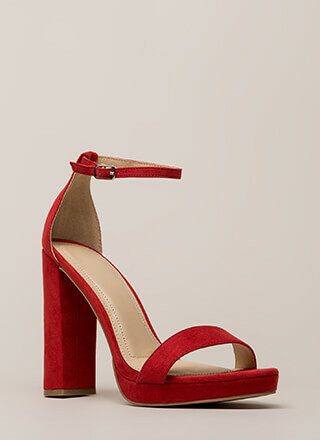 Shoes are finished with exposed sides, a stiletto heel, and a ridged sole.